I always thought Three Sisters planting sounded cool. Plant corn, beans, and squash in the garden together, and each plant gives the others important nutrients and provides benefits in a trilogy of awesome harmony. But the one time I tried it, it completely failed. My corn fell over, my beans didn’t produce, and my squash was everywhere. This year, I was determined to find out why it failed and to plan for success. Here’s what I learned. Companion planting is when you plant certain plants together because they provide benefits to one another. For example, one plant might provide important nutrients that another plant needs, or one plant might ward off a particular pest. Generally, it’s said that if two plants are eaten together, they can be grown together – cucumbers and dill, tomatoes and basil, tomatoes and carrots…but it’s not always true – peas and onions, for example, aren’t good bedfellows. 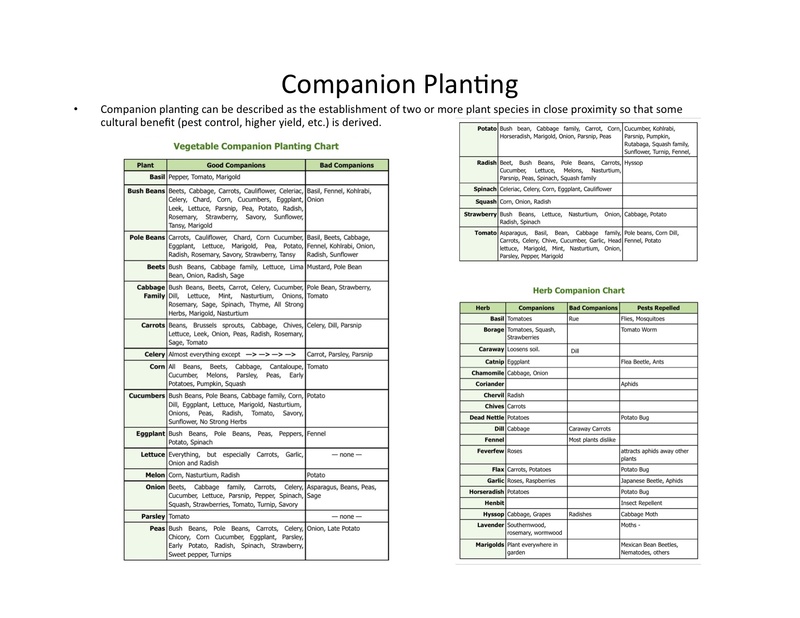 (Here’s a handy companion planting guide that shows both good and bad companions). Three Sisters planting is one of the most interesting and popular of companion planting strategies. But first and foremost, did you know it actually started out as Four Sisters? The fourth sister, sunflower, has been virtually eliminated from modern versions of the sibling roundup. Why? Perhaps it’s because so many people eschew sunflowers or fail to see the benefits of it. Perhaps it’s because people find sunflowers way too giant and creepy-looking. Whatever the reason, sunflower, the Fourth Sister, was cast aside. Each sister brings something to the table (literally!) 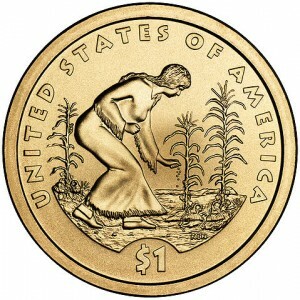 The corn, planted first, offers the beans support as a natural trellis. 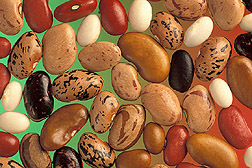 The beans take nitrogen from the air and put it into the soil, which benefits all three plants. And the squash has large leaves that shade the soil, preventing weeds and keeping the soil moist and cool. If the squash has prickly leaves or vines, it may also keep pests from getting near your precious plants. Other key pieces of knowledge besides the Fourth Sister also have been cast aside in the passing down of this interesting and productive companion planting strategy. For example, one of the reasons my Three Sisters planting has consistently failed, I discovered, is that I planted sweet corn, string beans, and summer squash, like zucchini. Most people try it with these plants because they’re what we’re interested in eating these days. But Three Sisters planting was created by a people who planted for longevity. 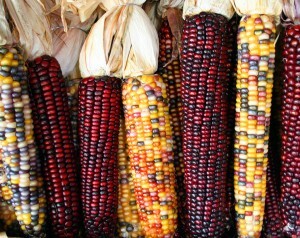 They weren’t eating sweet corn, they were growing corn that could be dried and made into cornmeal or flour or parched. This corn tends to have strong stalks that a bean can happily climb up…but sweet corn stalks, in contrast, aren’t nearly as sturdy. Focus on winter, not summer squash, so you’re not trampling around harvesting all the time. Second, if you’re planting string beans, you’ll need to harvest far more frequently than Three Sisters is designed for. As Leslie Land put it, we’re “not trampling all over the squash for daily harvests of haricots verts or a dinner’s worth of sweet corn.” So instead, focus on pole beans for drying, like soup beans. 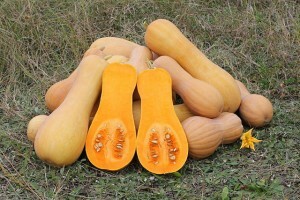 Third, the squash shouldn’t be a summer squash like zucchini, which also needs to be harvested frequently. Instead, a nice winter squash like acorn or pumpkin means you’ll have a longer growing period so you won’t be trampling in to harvest all the time. No, the Three Sisters is a planting grouping that wants to be left alone. Three Sisters isn’t just planting companion or complementary plants next to each other. You’ll want to make sure you’re planting in a tight circle, starting the corn first, so it can grow a bit and provide a place for the beans to grab onto and climb. Surround the corn with beans and surround that with squash – however, there is an endless variety of ways to grow the Three Sisters – check out this guide for more options and full details. A traditional Three Sisters garden needs space. If you don’t have a 10×10 garden, then consider a smaller version, but remember that corn cross-pollinates and requires enough corn to pollinate itself, unless you’re hand-pollinating. It’s said that Native Americans planted a fish carcass under the Three Sisters garden. You can probably skip the dead fish, but definitely work some nutrition into your soil before you plant! Fish fertilizer is probably a decent option. Three Sisters planting (or Four, if you’re a purist) is exciting, fun, and I suspect, low maintenance. Get it started and you may not have to do much until the beans and corn are dry and the squash is ready for harvest. Good luck!